To culminate our studies of planetary features, I asked students to select a planet to research that they would like to know more about. I gave three research activities to guide the students in their studies. 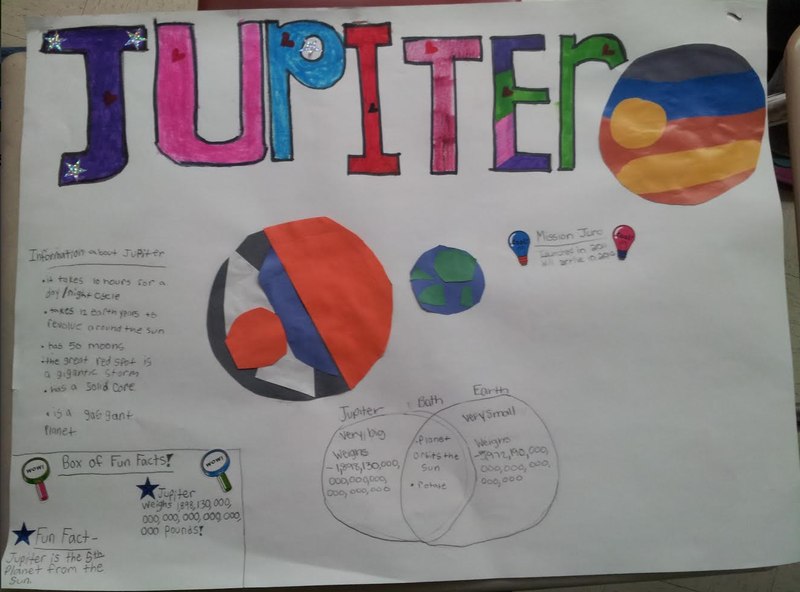 Students used resources such as BrainPop videos, the NASA app, the SpaceCraft 3D app, the Kids Discover Space app, their science textbook, sets of planet fact cards, and more to find how their planet has been explored in the past, what unique characteristics their planet has, and how their planet compares to Earth. During the research, students were free to mix up resources and partner up if needed. The three research sections were called "missions", and students were able to move to each level after completing the mission research. So, students were working on different missions, using various resources, at different times. 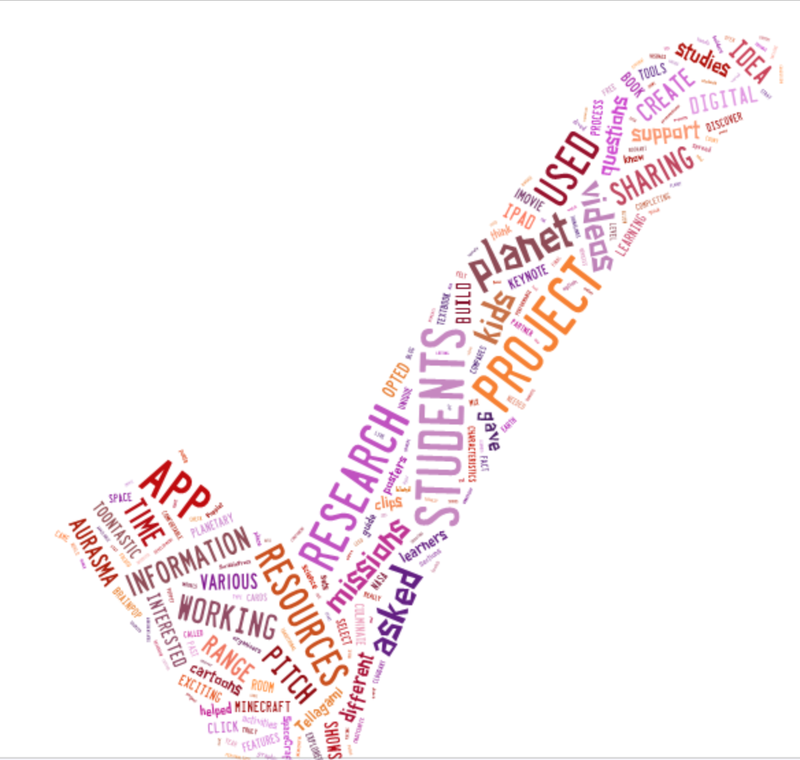 When it came time for students sharing their information, I gave them the option to "Pitch Their Project". After working with various iPad apps through the year, I felt that students could blend apps and build something they were truly interested in. The spread of ideas ranged all over the place. Some students were interested in using apps that they were really comfortable with. These students dived into creating blog posts with Popplet graphic organizers, CloudArt Visuals, and ThingLinks. Other students opted for more of a performance type project like live puppet shows, Toontastic cartoons, Chatterpix clips, and Tellagami videos. Then, there were my book builders! I had 1 student create a traditional folded book. 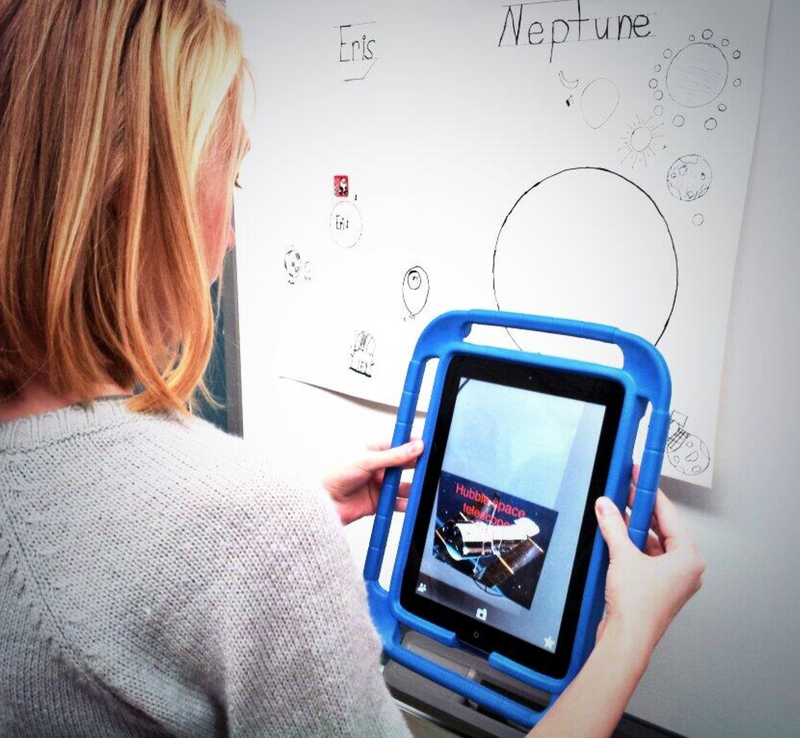 Others used the ScribblePress app, and others used the Bookabi app. Some of my hands-on learners opted to build models, posters, and Lego vehicles. But, there's more! Count in a stray iMovie, Keynote project, MineCraft world, and some Aurasma projects, and then you have the final range in projects. Toontastic Cartoons- Click to check out some toons! Click HERE for a quick video showing MineCraft Project Clips! 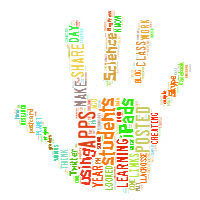 Why open up the project range and allow students to pitch their project choice? This is where the iPad can help support a differentiated classroom. From the pacing of the research to the sharing of information, students were always in the drivers seat. The learning was personalized, meaningful, and exciting to them. The variety of tools available was as diverse as the learners in the room. 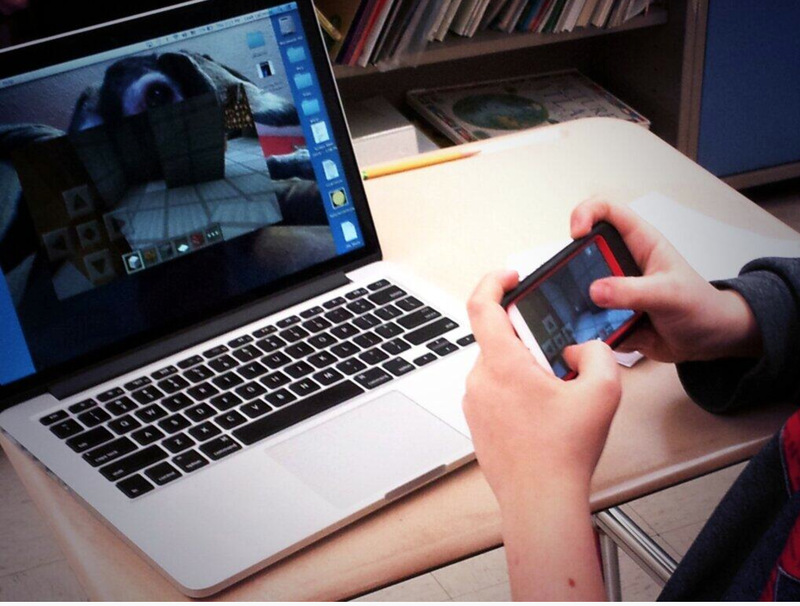 Students could go totally digital in their work from start to finish. Or, they could include a digital component to part of the process. Or, stay away from digital tools all together. Ownership! Other than a few trouble shooting moments with newer apps like Aurasma, Tellagami, and Keynote, the kids were their for each other. They supported each others' learning in research and project development. I crowd sourced the questions. I asked them to find experts in the room. "What do you think?" was my answer to the few questions that I did get. A while back I questioned the idea of everyone being asked to create the same project at the same time..."Do we all have to make an iMovie?" 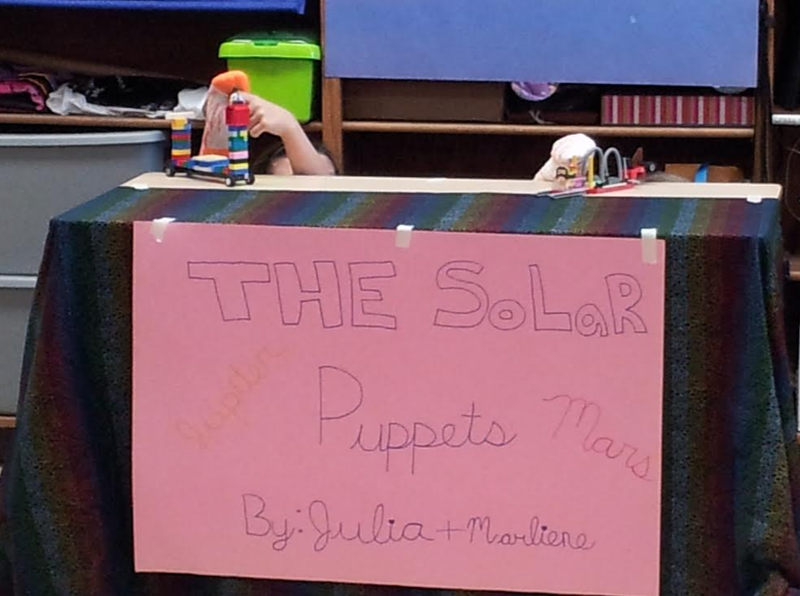 I think this project helped support the idea of letting kids pitch their own project. My student presentations were varied, informative, and exciting to watch. Students were proud when they shared, and that was the win! Love the fact that you were prepared to offer choice to your students in how they presented their projects. I am currently working on my honours project for my Bachelor of Education which looks at a year 7 ipad immersion class who created multimodal presentations with their iPads. Reading your description about the different ways students approached this task reminded me of some of the things I saw with the year 7s. It was amazing to see how different students used different approaches and different apps to achieve their goal. I think it is important to give students choice in what they do. One question I have is how did you handle the assessment of such a diverse range of products? Thanks for sharing what you are doing, it's informative and inspiring. I tried to keep my rubric for grading as generic as possible so that it assessed the key points that I was looking for. Our state standards focus on the ability to recognize cycles in space and identify characteristics with various objects in the solar system. So, part of that planet characteristics is the comparison to Earth portion. This is my SUPER generic rubric that I used while students presented. Those students that had weak areas worked to address them to try to earn more points. Thank you for commenting and sharing your experiences! Student choice enables such ownership and resulting effort and interest in the science!